It is critical that cyber education curriculum considers the growing cyber technologies and which aspects of these technologies need to be aligned with the fourth industrial revolution. This chapter seeks to present a comprehensive analysis of the current level of cyber security education in South Africa. It will also track the current trends of cyber security education in the country as well as examining any challenges being experienced including any knowledge gaps. In the end, the chapter proposes recommendations for consideration in strengthening cybersecurity education in the country in to achieve advanced cyber security responses, capable of mitigating any cyber security threats. Offering quality cyber security education is important in preparing the next generation cyber security practitioners, who are highly competent and capable of developing innovative solutions in response to the growing global demand of cyber technologies. 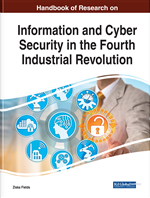 The chapter ends by proposing specific strategies that can guide towards this ideal in the context of the fourth industrial revolution. Cyber security education has gained traction in recent decades in South Africa. According to Dlamini (2012:5), it has been geared towards rebuilding the skills of practicing cyber security experts whilst at the same time increasing general awareness of such issues. Table 1 lists recent cyber security awareness initiatives in the country. Cyberspace: A non-physical space made up of computers, their systems, programs, and software and users such as programmers, data analysts, and computer technicians, to name but a few. Cyber Education: Knowledge related to information communication technologies and everything related to cyber space. Education: Knowledge about a particular field of study. Curriculum: The content that informs a specific academic program. Information Communication Technologies (ICT): Any communication device including computers, television, radio, mobile phones, satellite systems, networks, hardware, and software components. Cybercrime: Illegal intrusions that involve the use of information communication technologies.